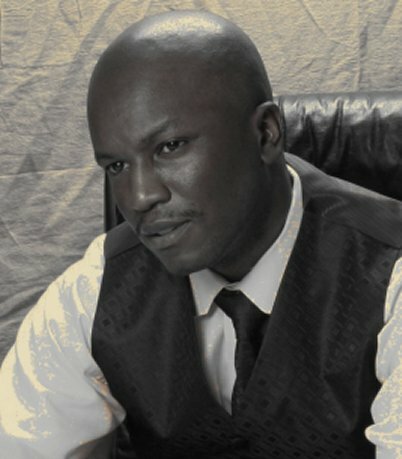 Readers we are so pleased to present to you Moses Miller. 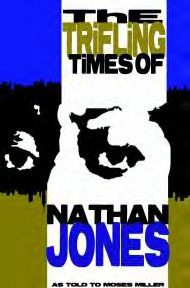 He is the author of the extraordinary book NAN: The Trifling Times of Nathan Jones. This is an amazing story that provides a revealing look into corruption at it's worst. If you haven't had the opportunity to read this riveting novel, we encourage you to please do so you will not be disappointed. Hello Moses, welcome to Books2Mention Magazine. B2M: Moses can you start by telling us what inspired you to write this incredible story? MOSES: First of all, I wanted to put together a compelling tale that captured the critical years in a Black male's life. To me, that was the teenage years to young adulthood. So many critical events can transpire in that period of time. Secondly, I needed the story to deal with love; loss of love, camaraderie and the pain and suffering that comes along with a tragic event. Lastly, there's the element of corruption that exists within the police department and the silent war that's been waged against Black males in our inner cities. So, in essence I wanted to expose truth through entertainment. B2M: What was the most difficult aspect of writing this book? MOSES: Nothing was really difficult. I just transcribe the thoughts that are in my head and I write intuitively. I embrace the creative process, and I'm always challenging myself to make something that is new and different from anything else that I've read or written. So if anything, I guess a difficulty for me when I write in general is the fact that I know where I want to take the reader, but I have to take the time to paint a detailed picture in order to lead them along on the journey. I'm impatient. I just wish I could dump the thoughts in my mind onto the paper. B2M: When can we expect the sequel? MOSES: Sooner than you think. I plan to have two new books out before the end of the year. 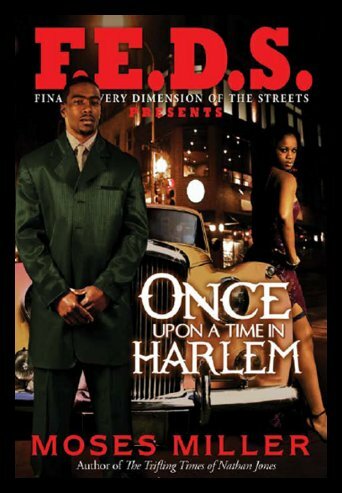 So, that includes The Game of Trife and I'll also be releasing a book called Once Upon a Time in Harlem through a joint venture with F.E.D.S. magazine. B2M: When did you decide to share your talent with the world? MOSES: Sometime in the late nineties. Back then, I use to write articles for papers in New York like the Voice and Newsday, as well as websites such as 88HIPHOP.com. I've been writing creatively since I was seven. As far as the book game, in 2002 I started taking a serious look at it and I felt that I may have some stories that the world needed to hear. MOSES: It's a responsibility. And, I don't mean that in relations to your content or subject matter. I think it's important at least for me to have an understanding and a level of respect for the writers that paved the way for me, and to make an effort to expand upon what they've built. So, I don't look at this as a hustle. It's much more serious than that to me. B2M: What do you aspire to achieve as a writer? MOSES: Of course I want to continue to get better and to have my work considered as notable. I want to be mentioned in the same conversations with those authors that I respect for their writing abilities. More importantly though, if I could get more Black and Hispanic males reading I'd be happy. I want to play a role in the effort to increase the literacy rates in our communities. If I can do that, I would feel that I have achieved a lot. I'll actually be conducting a literary contest in regards to this called American Me. Details will be posted on MindCandyMedia.com. B2M: If you were asked to label the genre of literature that your style of writing fits in, what would it be and why? MOSES: It's just good fiction, period. However, I felt compelled to make the slogan "Intelligent Urban Fiction" because if it was going to be labeled, I had to let it be known that I feel like my urban themed stories are well thought out, creative, compelling pieces stitched together with intelligent thinking. There can never be any question about anything that I put my company's name on exemplifying ignorance. I write intelligent books for intelligent people. But like I said, it's just fiction. B2M: Why do you feel urban fiction books have grown over the last few years? MOSES: Because the stories are exciting and the target audience can relate to the characters. Also, I think that a lot of the authors hustle hard, and that's probably due to them having the mentality of an underdog. They are out there promoting their books and reaching out directly to their core audience. But whatever label that's placed on it though, I think that we should never lose sight of the fact that at this point in time there are more African American writers publishing books than ever?period. And they are selling. So, that's a real good look right now. B2M: It is normally assumed that authors are avid readers. Does this assumption apply to you? MOSES: Literacy is important. I read a lot of nonfiction books. Some self-help books. I haven't really had the opportunity to read any of the quality fiction books that are out there today, because I don't like to read while I'm writing. However, when I was coming up I read all types of books from Alex Haley to Richard Wright, Donald Goines, John Grisham, James Patterson, Nelson Demille, Michael Crichton, Terry McMillan.you name it, I probably read it. B2M: You are the founder of The Trifling Times Organization. What inspired this idea? MOSES: That site and the organization were established before I even published my first title. What inspired the site was the unfortunate tragedies that continued to plague our urban communities. As a young Black man, I felt as if the police had a license to kill anyone that looked like me. So, I just wanted to make sure the innocent individuals killed by overzealous police in our communities were never forgotten. Also, it's equally as important that we don't forget those that took their lives. B2M: You have indicated that TriflingTimes.org is the watchdog for the abused, powerless and disenfranchised. How do you anticipate your organization creating change for those individuals in the aforementioned groups? MOSES: Through awareness. Through partnering with the public servants that have been hired to protect and serve our communities in order to gain an understanding of what their thought process is. Why some of them have a shoot first ask questions last mentality. I have some things coming down the pipeline. You'll hear a lot more about TriflingTimes.org in the near future. B2M: After the sequel is released, what other projects do you have in the works? MOSES: Before the sequel, I will be releasing Once Upon A Time in Harlem through a joint venture with F.E.D.S. magazine. After the sequel is released, I will jump right into two new projects. One will be a non-fiction piece that I've been thinking about doing for a few years now. The other will be a fictional tale, but a completely different story from the Nan series and Once Upon a Time. I also will continue to play my part by being a positive role model and doing whatever I can to assist others coming up. With my Mind Candy brand, you can expect entertaining stories that are thought provoking and socially conscious as well. I'm looking for writers that can bring those elements to the table so their books can be future projects also. Moses we encourage you to continue writing intelligent urban fiction that demonstrates how important it is for us to eradicate unjust treatment of innocent people.